Site and content is licensed under Creative Commons Attribution 2.5 License. Professional use requires a respective license. 5. Workshop on Visualizing, Measuring and Managing Intangibles and Intellectual Capital. 8. - 9. Oktober 2009 in Dresden. Scroll down for links to my paper "Advanced Tools for Visualizing, Measuring and Managing Intangibles", revised releases and the Powerpoint. 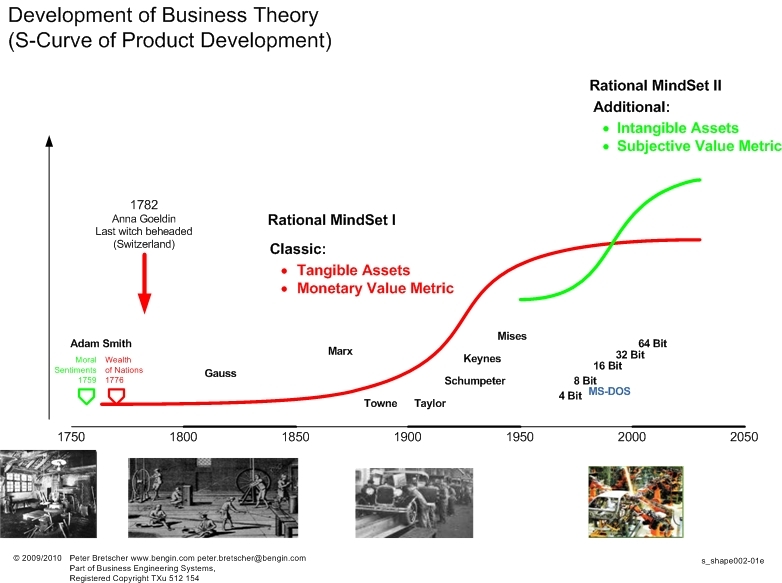 Looking at the economic theory as a product that is in the saturation of its development. With an enhanced MindSet for structuring and quantifying the real reality it becomes possible to integrate the intangible resources and the subjective property of value an create a new generation of possibilities for mapping, modelling and reasoning the next economy. [English versions of samples for the bengin vector profiles are in preparation (links above for visualization). Someone out in the internet who could support and accelerate this process? A prior paper was presented by Juergen Daum and Peter Bretscher 2004 at the Edinburgh event "Performance Measurement and Management - Public and Private"